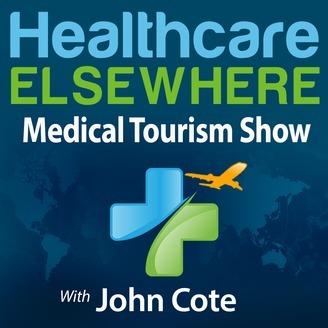 Healthcare Elsewhere is a medical tourism show that shares the success stories of patients who have traveled for medical treatment. 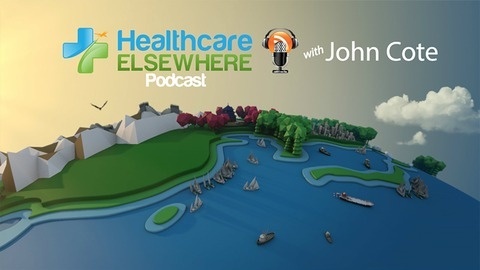 Host John Cote interviews Doctors, industry experts and patients worldwide to help educate people about the affordable and cutting edge options available globally. Many patients find that the cost, time frame or availability of a particular procedure is too expensive or not available in their country so they travel elsewhere to get their treatment. This can range from cosmetic procedures, to stem cell and cancer treatments or knee or hip replacement surgery as examples. Learn more at HEALTHCAREELSEWHERE.com. Linsey Hyatt shares the struggle of her son Tucker Beau who was diagnosed with Systemic Juvenile Idiopathic Arthritis at the age of two. Prior to his diagnosis, Linsey and her husband, Todd, started to see some changes in their son. He would run extremely high temperatures, would get a rash all over his body and completely quits eating. Tucker Beau grew up with active arthritis in his hips, both knees and ankles, his elbow and both his wrists. At that time, he also developed fluid around his heart and other organs were enlarged and inflamed. They tried several treatment options but these treatments never fully kept the arthritis in remission. Linsey and Todd knew that Tucker Beau's body cannot keep up with the medications and they wanted to explore all possible options until such time they heard about Celltex and stem cell treatment. They took a leap of faith with Celltex because they believed that these stem cells may not work but could not harm him in any way. He was the first child in the U.S. to undergo stem cell therapy. Tucker Beau had his first extraction last May of 2014 and had his first infusion therapy in Cancun on August 2014. Find out more how stem cell treatment has changed the lives of Tucker Beau and his parents and how this treatment had him walk back on his own two feet for the longest time.